"We will expose the Russian intelligence service" — that's the message from British foreign secretary Jeremy Hunt as Britain takes aim at Russia. The UK foreign office blamed Russian intelligence services known as the GRU, for six cyber-attacks in an aggressive statement that directly implicates Vladimir Putin's Kremlin. Russia operates with "a feeling of impunity," the new statement said. Hunt was also clear that all of this was done at the direction of Vladimir Putin's Kremlin — a remarkably direct accusation. Relations have been progressively worsening between the two countries since the poisoning of former Russian spy Sergei Skripal and his daughter Yulia in Salisbury in March. UK Prime Minister Theresa May has called out the Russian government on multiple occasions, including at a UN Security Council meeting and at the UN General Assembly last month. Vladimir Putin's initial response was that there was no substance to the British accusations, that the two men named were civilians and they claim to have been visiting Salisbury on holiday together. But this week Putin also came out swinging at Sergei Skripal. 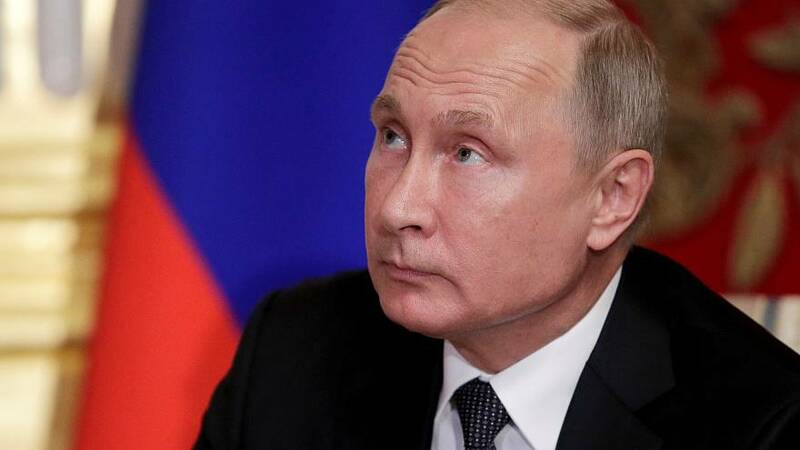 At a Russian Energy Week International Forum in Moscow, he said, "[Skripal] is just a spy, a traitor to the homeland. Do you understand that concept? A traitor to the homeland. He is just a scumbag, and that's it. And an entire information campaign has been launched around this." It's all in an attempt to pull shadowy Russian operations into the light in the hopes of some kind of justice — EU arrest warrants have been issued for the two men accused of the poisoning, but it's unlikely they'll ever set foot in any EU country again, and Russia doesn't extradite its nationals as a rule, so the prospect of the perpetrators facing any repercussions in slim. Speeches, statements, and specific accusations is all that's available to the British government.